Bloating and probiotics often go together. I get many questions about the reasons why some people experience bloating when taking probiotics or consuming fermented foods. Others suffer from bloating and hope that taking probiotics might help solve this. So does probiotics cause bloating or help lessen it? Though it sounds contradictory, the truth is that probiotics can both cause bloating but also alleviate problems with gas. Please read on! I hope to bring some clarity to the matter. Bloating refers to a feeling that your stomach is swollen, full or tight. Bloating might be accompanied by a pain that sometimes can be sharp and mistaken for pain in the appendix, gallbladder or heart. Bloating can be unpleasant and persistent. There are many causes of bloating or gas. This includes inflammatory conditions, food sensitivity, gastritis or irritable bowel syndrome. In most cases bloating is caused by the production of gas in the gut. Depending on the location of the gas, the level of pain can vary. Why bloated after consuming probiotics? Probiotic bacteria are active against yeast, harmful bacteria, and fungi. When someone introduces probiotics in the form of a supplement or fermented food, harmful microorganisms will start to die. This die-off can create gas and a feeling of being bloated. Especially fungi can create much gas in the gut. However, gas production does not happen quickly. 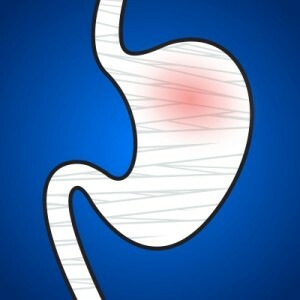 When you have your next meal, gas produced from the previous meal is most often the cause of feeling bloated. Yeast (like candida) is also a common cause of bloating. Sufferers of fibromyalgia, chronic fatigue syndrome can also feel bloated when consuming probiotics. Therefore, it’s best to start off slowly with probiotics. Try a capsule every second day, or dissolve a capsule in a glass of juice and drink slowly during the day. It can take weeks or even months before some people can increase the dose to one capsule every day. In any case, bloating or gas is for the great majority of people completely harmless. It might even be a positive sign. Why? As stated, bloating means that the gut is filling up with gas. With no immediate way to escape gas creates pressure and this causes a sensation that your stomach is swelling up. For most people, this is completely harmless and very common when consuming probiotics. Therefore, as unpleasant as bloating might be, it often a sign that beneficial bacteria are cleaning up the gut from unwanted microorganisms and toxins. Many studies have confirmed that consuming live and active friendly bacteria regularly can have a profound effect on your health and should not be underestimated. Probiotic bacteria are essential for a well-functioning intestine and consuming fermented foods should be a regular habit. Bloating after consuming probiotics is, therefore, a symptom of an improved gut environment, a cleansing of the gut from harmful substances. How much gas is produced and how long someone will feel bloated can vary a lot. Much depends on which shape your gut is in. Each person is unique and, therefore, will also have a unique response to probiotics. There are many factors involved as the state of the gut, genetic make-up, the level of stress, eating habits, the presence of yeast and bad bacteria in the gut and so on. Sometimes bloating can start several weeks after consuming probiotics. Why? This seems to occur because it takes probiotics some time to transform the environment in your gut to become friendlier and healthier. Many probiotic bacteria lower the pH in your stomach and this is something bad microorganisms don’t like. When this happen harmful microorganisms will start to die off. And bad bacteria often die a violent death which can cause bloating. For example, for many years, I had severe gut problems. And when I started using probiotics I felt bloated often, and this came and went for a long time. However, I continued taking small amounts of fermented foods until the symptoms gradually disappeared. I engaged in the GAPS diet with bone broths daily and fresh vegetable juice. Finally, the bloating completely disappeared. Today I very rarely feel bloated no matter how much probiotics I consume. This is a common scenario for people with gut problems. One reason for bloating is the violent death of harmful microorganisms releasing powerful toxins. It seems that many harmful microorganisms colonize the gut in groups scattered in different places. When one group is reached by probiotics you consume, they start to die. This seems to be a reason why many symptoms come and go for some time until they subside. Therefore, much will depend on how much bad bacteria you have and how long you’ve had them. For sufferers of candida overgrowth, the reaction to probiotics can be strong. They need to follow a stricter protocol. Even if you stop taking probiotics, the effect will continue for some time. This is because probiotics create a healthy environment in your digestive tract where good bacteria can thrive. If you have “pockets of resistance” in the gut, several symptoms can come and go until most of the harmful bacteria are gone. NOTE: Some probiotic supplements contain milk products and can also cause bloating for someone who is intolerant or sensitive. Same with biogenic amines contained in some commercially fermented food. In any case, if you get bloated, try lowering the probiotic dose to a level that’s comfortable for you. Once your gut adapts you can gradually increase the dose. Remember too that if you consume much sugar and grains it will feed harmful organisms in your gut as they thrive on carbs. Many who lower their intake of sugar and grains feels that the intestine responds positively. After some weeks, you can try reintroducing grains slowly. Thanks so much for the article – it’s so easy to give up if things go wrong. I’m just starting to do my own fermented veg. so I need all the advice I can get! It’s so helpful to have advice from someone who has experience in this. Thank you for such a clear article and helpful advice! Thank you. I think I know what you mean; I’ve had similar feelings myself. Don’t give up! Am going to try my probiotics again. I started with 30 billion CFU’s. Bloating was painful. Am still having the bloating & have been off the probiotics almost a week. Any suggestions? Sorry to hear about your bloating. It’s always hard to be specific since each individual is different. Some have tried to drink kefir or yogurt with probiotics for a while until the gut calms down. After that a supplement might be easier to take. In case of Candida overgrowth or bacteria in the gut, a low dose of probiotics is best to avoid bloating. One way to do this is to empty a capsule in a glass of juice or water and drink a little now and then during the day. With Candida you need a good protocol. Drinking more fresh water is good for the gut. Same with fresh vegetable juice. For those with bloating it’s important to thoroughly chew the food and avoid eating fast. Drinking meat stock is another way to calm an upset digestive tract. Others benefit from a digestive enzyme supplement. Bloating is unpleasant but in most cases completely harmless. And it does show that the probiotics are working. Symptoms rarely last longer that 7-10 days. I had severe painful bloating for six weeks and my dr put me on flagil diagnosing that my digestive system and gut flora was off. I also started align for a week and then bumped up to a stronger probiotic America brand. I was feeling better until I started the stronger probiotic. Now I feel bloated again and crampy from gas although not as bad as previously I am paranoid of going back to where I was six weeks ago. Do I possibly need to bump back down to align or simply tough it out on the stronger one? Im desperate to feel better and get my gut in check again. Stronger probiotics are not always better. If you have severe gut problems, then you need to go slow for a while. Symptoms can be a sign that you take too much probiotics. Try emptying a probiotic capsule in a glass of water or juice and drink it slowly throughout the day. In addition, many people report that adding bone broths daily helps a lot. Bone broths are excellent to calm the gut down. I have tried Flavoured Probiotic Lassee (Drinking Yoghurt) that contains of Toned Milk, Sugar / Salt, Fruit Pulp Compound, Stabilizer, Active Probiotic Culture in fasting condition but i felt like too much bloating after 1/2 hours of drinking. Total 4-5 times I have tried drinking and same bloating experience was happened. So I stopped consuming probiotics totally. After reading this article, I feel that bloating after consuming probiotic was somehow good for my health. Can I drink probiotic with or after meal or dinner? or I should take it in small amount and gradually increase consuming probiotics ? please let me know the best condition (fasting or fed) for taking probiotic drinking yogurt. Sorry to hear of your problem. Bloating is common when people start consuming probiotics. However, it’s not always possible to say exactly what causes this when consuming a probiotic food containing other ingredients. Generally, probiotic drinks containing sugar, salt and other additives may not be the healthiest option. Milk (especially when highly processed) can cause bloating in some who have a sensitive gut. You might want to try a few different probiotic foods to see which one your stomach feels most comfortable with. However, avoid commercial products containing unhealthy additives like coloring, sugar, and other substances. A great option is to make you own homemade yogurt, kefir or fermented vegetables. It’s really simple. Thank you for this article! My functional doctor put me on a regimen for leaky gut which includes a potent probiotic. I am taking 4 per day of Sibiotica (the probiotic) as well as Repairvite to heal my intestines and a herbal mix to kill off bad bacteria. I was bloated before this protocol and thought this would ease it but the bloating has become very intense. I am thinking of cutting back on the probiotics to maybe one a day until my body gets used to it. Also, I am having horrid back pain and other pains and am wondering if that would come from the bloating and leaky gut. It is my assumption the inflammation is putting pressure on my internal organs, nerves, etc. Does that make sense? I am on an elimination diet as well. I am so ready for some relief! I’m sorry to hear about your gut problem. Healing a leaky gut often requires patience and to follow a good protocol. In most cases with severe gut problems the recommendation is to start off very slow with probiotics to avoid symptoms. And how much is too much is different in each case so you might have to experiment a little to find the right dose. In case of candida overgrowth or a strong infection you might need a very low dose of probiotics to avoid unpleasant symptoms. There are several good protocols that can help seal and heal a leaky gut. The GAPS approach is one successful protocol. This includes the now famous bone broths which seems to work wonders for many with gut problems. There is also a probiotic supplement called Bio-Kult that was developed to treat a leaky gut and help heal the digestive tract. Vegetable juicing has also proven very good to treat inflammations. However, each individual is unique and you need to find what works best for you. But when you do find what works, then things will start to improve. Don’t give up! Sorry to hear about your problem. I’m not a doctor, so I’m not qualified to treat anyone. But I can tell you what I’ve learned from research and my own experience. SIBO can be a tricky problem because there are several triggers (like stress, anxiety, muscular disorder, pouches in the small intestine). Studies show that stress/anxiety is a common trigger and often coupled with acne vulgaris. Check this interesting article. In Chinese medicine “the face is the mirror of the bowel.” In their view, if the gut flora is out of balance, it disturbs metabolism which triggers skin problems. I’m not familiar with the FODMAP diet. But many people with SIBO have had success with the GAPS diet . Some people need to be careful with prebiotics (not probiotics) and fiber that feed both good and bad bacteria. If you have much bad bacteria, or in the wrong place it can cause much gas and bloating. I had this problem for a long time until I realized I was eating too much fiber and prebiotics. When I stopped things quickly improved. After some time I slowly reintroduced fiber and prebiotics and it did not create gas anymore. But each individual is unique and you will have to experiment a little to find what works best for you. Many love the GAPS bone broths as they seems to be very effective. They are simple, cheap, filling, and very nutritious for the digestive tract. There are often several factors that are in play at the same time. Too much fiber, stress, not chewing properly, inflammation, infection, candida, fatigue, and so on. Great article, probiotics are amazing! I’ve been doing the GAPS protocol for about 4 weeks now and I’ve slowly made my way to stage 3 of the introduction diet. My bloating is constant, occasionally in the morning I’ll wake up with no bloating, but it’s generally always there. Not painful, just huge and I feel as though maybe it contributes to my frequent urination. Do you think that the probiotics I’m taking (1 capsule of biokult a day) are the most likely cause? I just noticed you said generally it doesn’t last more than 7-10 days, it’s been much longer and I’m not sure if maybe it could be food related? Sorry to hear about your problem. Bloating is very common for many different gut problems, so it’s hard to be specific. Four weeks on GAPS already, well done! Bloating for a month is a long time, however, in some cases that can happen. When it comes to probiotics, lowering the dose or put it on hold will quickly reveal if that’s the cause or not. Some people who suffer from fatigue, infections, candida, fibromyalgia often have a very sensitive gut and can have symptoms while of GAPS for a very long time. Therefore, they need to go very slow with probiotics. Food allergies is another cause of bloating. Check this post on how to do a sensitivity test. Remember too that stress or eating too fast can also cause bloating. Those with gut problems should try to eat slowly and relaxed. Same thing with eating too late at night. Best to have the last meal some hours before going to bed. Sorry I can’t be of more help. Thank you very much Ken, your response was helpful! One of the reasons for starting GAPS was my constant bloating (and interstitial cystitis) so it’s hard for me to determine the cause of the bloating as it’s been there a while! I’ve tried coming off probiotics for a few days but haven’t noticed a difference, also I’ve done all the food sensitivity testing. My second question would be: would you recommend continuing through the next stages of the intro or do you think it would be better to wait until bloating settles? Interstitial cystitis can take a long time to respond to treatment. I’m not an MD and not in anyway qualified to treat such a disease, sorry! But you could read this enlightening case study involving cystitis. The author is also the creator of the GAPS approach with much experience treating this disease. Here’s another example of healing interstitial cystitis, using the GAPS approach. I have read both of these amazing stories. Probiotics are very effective when on antibiotics. It can save your gut from many problems. Bloating and gas are very common symptoms when taking probiotics or consuming fermented food. Probiotic bacteria help improve the environment in the entire digestive tract and this has many benefits. However, gas and bloating are completely harmless and usually stops after some days or a week. More or less gas is produced all the time in the gut; it’s part of the digestive process. Consuming foods rich in fiber like garlic, cabbage and many other can cause more gas. In case of harmful bacteria in the gut they can also produce more gas. Please remember that probiotics are essential for life, without trillions of them in the stomach you would not survive. Probiotics can also destroy harmful bacteria and yeast and this can produce gas. This is normal and harmless. I have both SIBO and chronic nephritis. Due to the nephritis, I need to get a large percentage of my calories from carbs (because excessive proteins and/or fats are very problematic for me). Due to the SIBO, I’ve even had to resort to a refined carb (white jasmine rice) to help minimize resistant starch. Do you think well-chosen probiotics can possibly help tame SIBO in this situation? Sorry to hear about your SIBO and nephritis. About SIBO it seems that probiotics work very well in most cases, especially the lactobacillus and bifido bacteria strains. However, it might wise to take small doses to begin with. One way is to empty a probiotic capsule in a glass of water or juice and drink a little now and then during the day. Then evaluate how you feel. If there are no symptoms, then try increasing the dose. Here’s is a nice post on SIBO. If you make fermented vegetables at home, then a teaspoon might be enough to start with. Increase the dose if there are no or little symptoms. If you need a supplement, then Now Foods Probiotic-10 could be an option. Go for the lower 25 billion CFU. About chronic nephritis I’m not sure how probiotics would work. It might be wise to speak about this to you doctor and see what he recommends. If you have not consumed much dietary fibre earlier, then it’s recommended to increase the amount slowly. Don’t overdo it! A general recommendation is consuming at least 20-30 grams a day per 1000 calories. However, some think that the ideal amount might be up to 50 grams or more per every 1000 calories consumed. In any case, consuming more fibre is a very simple yet extremely beneficial strategy. Remember also to drink enough fluid. I have a question regarding dealing with the bloat. Would taking something along the lines of gas-x help? Is that just negating the point of the probiotic? I don’t have any experience using simethicone based supplements. But most likely it won’t disturb the probiotic bacteria. However, studies suggest that for colicky infants and children, the bacterium L reuteri worked better than simethicone (main ingredient in Gas-X). Read the study here. It might be that the L. reuteri bacteria support the movement of gas in the digestive tract. Read more. Hi. I’m wondering how you knew you were having too much fiber (as mentioned several posts above). I have taken probiotics for many months, but after starting a new brand, I got bad-smelling gas and then I started having some mild gas pains in my bowels and quite frequently around my ICV for the last month or so. However, I also had increased my intake of freshly ground chia and flax seeds, so I’m wondering if I am taking in too much fiber. My functional nutritionist had me start GI Synergy in case the bad bacteria are outweighing the good. I’m just wondering if it’s the probiotics or fiber. I tend to get a little bloated as the day progresses, too. I eat paleo and use some bone broth and fermented foods. Any ideas? Fibre is great for the gut and it sounds like you are doing well to care for your gut. Bone broths are very good as is paleo. In case there are harmful microbes present in the gut, adding more fibre is not recommended. In fact, a low-fibre diet can help avoid symptoms until the gut is restored. This is because fibre also feeds harmful microorganisms and these can cause digestive problems. However, probiotics can be very beneficial to control harmful bacteria. There are also other conditions when you need to be careful with fibre; diverticulitis is one. Sometimes you need to try different foods and see what works best for you. Flax and chia often work well. Many have problems with grains; fresh vegetables are better for fibre. If you already have a healthy gut. Taking too much fibre can still cause digestive discomfort because the digestive tract needs to work more to push the fibre forward. Therefore, it’s usually best to increase the amount slowly and give time for the gut to adapt. The recommended amount for women is 20-25 grams per day, so try to roughly estimate how much you consume to avoid overdosing. It might also be good to drink more water. Some people with gut issues report good results with intermittent fasting, using one or two days a week only drinking water or vegetable juice. While trying to avoid unpleasant symptoms you also need patience. The gut needs time to heal and adapt, especially if you have been on antibiotics or other medication, and in the case of inflammation. I went to the doctor about 6 weeks ago with chest pain, reflux, etc. The doctor started me on nexium and Align once a day. So, I started right away. About 3-3.5 weeks in, I started having a “sour stomach”, bloating and gas pains. I pushed on for another week. Last weekend, I quit taking both meds. The reflux is pretty well gone. I had NO stomach issues or trapped gas before all of this. I am certain the probiotic just didn’t agree with me. I am feeling a tab better each day. The sour stomach feeling is pretty much gone, but still fighting the gas issues. It’s been about a week. Any advice or thoughts? Gas is a very common symptom when people start taking probiotics or consume fermented food. Some common reasons are mentioned in this post. Probiotics tend to improve the gut environment, which might take a while depending on the state of the digestive tract. A general rule is that the more harmful microorganisms or inflammation in the gut (the more the environment needs to improve), the more symptoms from probiotics. However, this does not mean that you should ignore side effects, quite the contrary. Lowering the probiotic dose works for many people. This can be accomplished by emptying a capsule in a glass of water or juice and drink this slowly during the day. Some people need to wait with probiotics while they restore the gut. It might be worth trying bone broths, vegetable juicing or intermittent fasting; many people say it work well to sooth many gut problems. Some people also have a lack of digestive enzymes. Hello i need some advise please i have been taking probiotics for a couple of months non stop now…so far i was feeling ok and they helped me a lot with my constipation but this month i am dealing with severe bloating .. and it’s getting worse does this mean i should stop taking them?? Which brand are you takimg? 3 weeks ago my doctor told me to take probiotics for bloating but this week, I am so bloated she ordered an abdominal cat scan. I will try opening the capsule in water. I’m sorry to hear about your bloating; it can be very uncomfortable. It is essential to find out the reason for bloating. If the reason is something consumed, then one way to find out is to exclude anything you suspect from your diet and consume only safe food like bone broths and perhaps fresh vegetable juice for a few days and see if there will be an improvement. If so, then specific foods can be reintroduced slowly one at the time while you monitor which food might trigger bloating. Some people have found that probiotics is too powerful to start with, they need a much softer approach like consuming bone broths that is very gut friendly and can calm an upset stomach. Later, when the gut is more stable probiotics can be introduced in small amounts.